He is a very mature boy for his age. He enjoys speaking to teachers about his interests and shows great knowledge in many subjects. 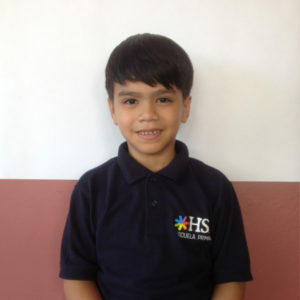 His mom is part of the HSD staff as our volunteer art teacher and maintenance supervisor. His dad is an independent accountant. They understand the importance high quality education and are grateful to HSD for the opportunity for their son.